This is sort of an oldie but goodie re-blogged from StarsWeAre. 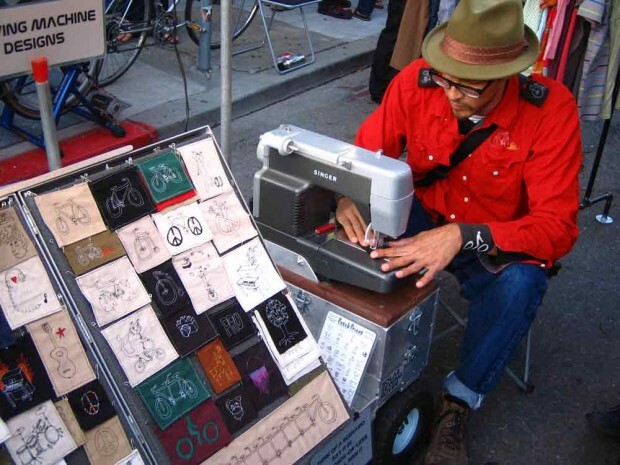 This a short post about man and his bike powered sewing machine. Happy Earth Day! 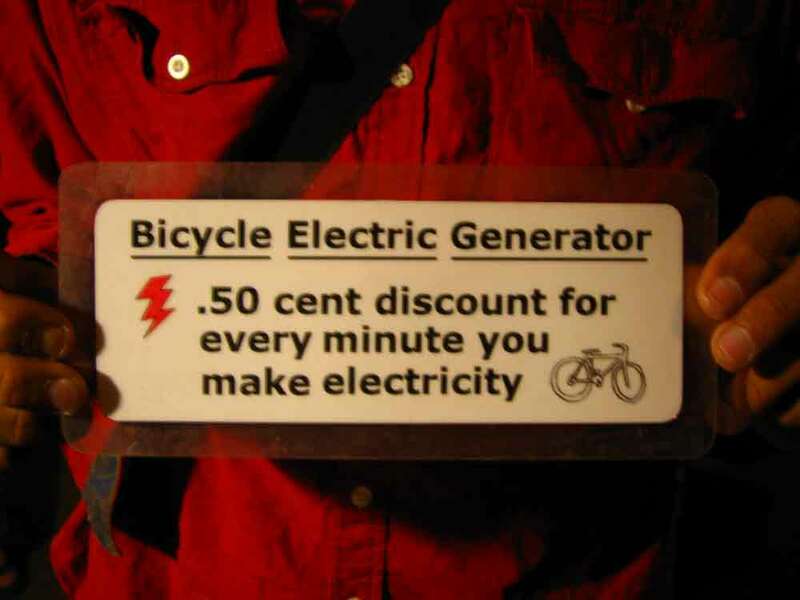 I love when two unrelated things are combined to make something useful and creative. If you can get past the hipster cuteness, watch this video, it’s a great idea. The New Museum of New York and Spanish fabric brand peSeta teamed up to work on the project named Bicycle Cap, this was initiated by ad agency Leo Burnett Iberia. 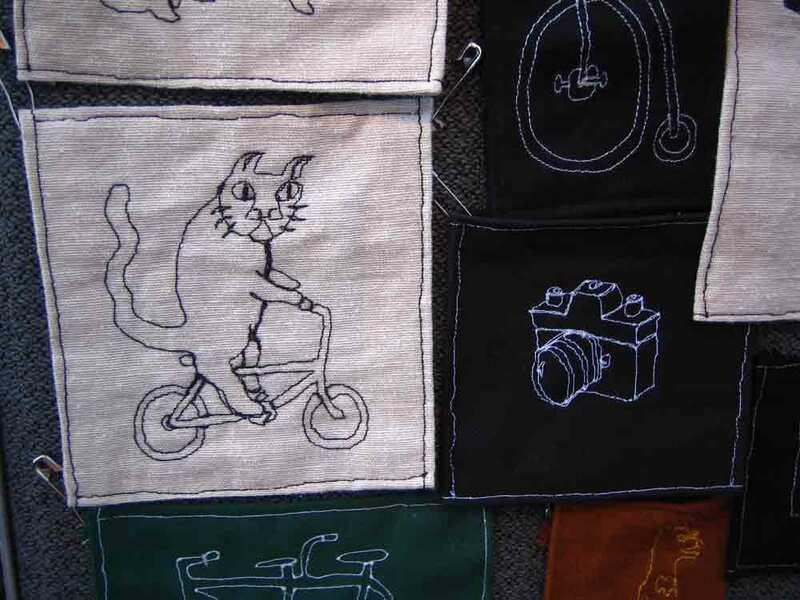 They are not the first to make a bike powered sewing machine, which have been used by craft artists over the years, but the way they present the idea across in this video about hybrid power is kind of a hybrid in itself, is it an ad? documentary? or just plain cute? directed by Zipi, it gets the point across without being preachy. Artist: Paul Nosa, awesome discount!